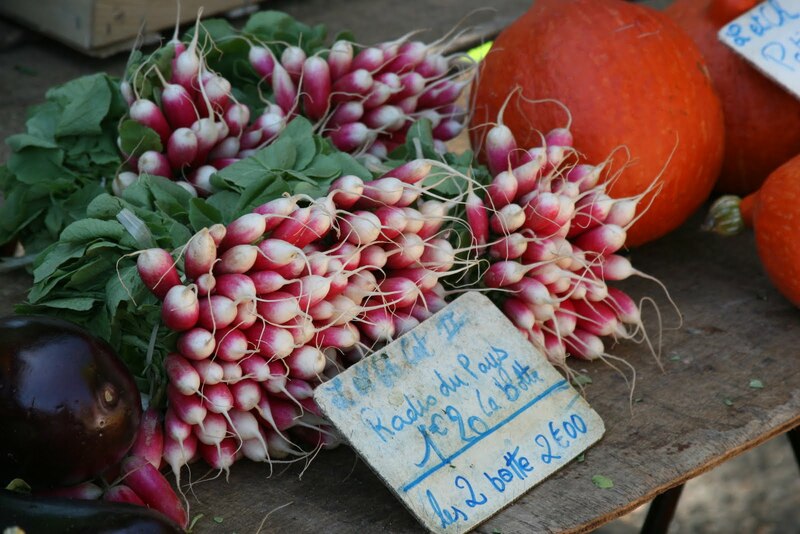 This lovely bunch of radishes was at the Sunday market in Amboise. I have seen these at markets and grocery stores in the USA sometimes labeled breakfast radishes. Seems like an unlikely thing for breakfast. But if you slice them thin, saute in butter, season with a little salt and pepper, they are a really good side with scrambled eggs. I tried it once in olive oil but they aren’t half as good that way.